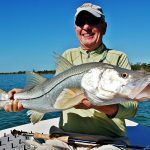 Often referred to as “The Ghost” for its ability to blend with its surroundings and vanish before your eyes, bonefish represent one of the great flats challenges. 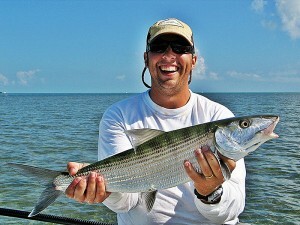 If you want to catch a bonefish the size of a mullet, go ahead and book a trip to Mexico or Belize. Have fun. I’ve caught brown trout bigger. Islamorada bonefish are different. They have shoulders. 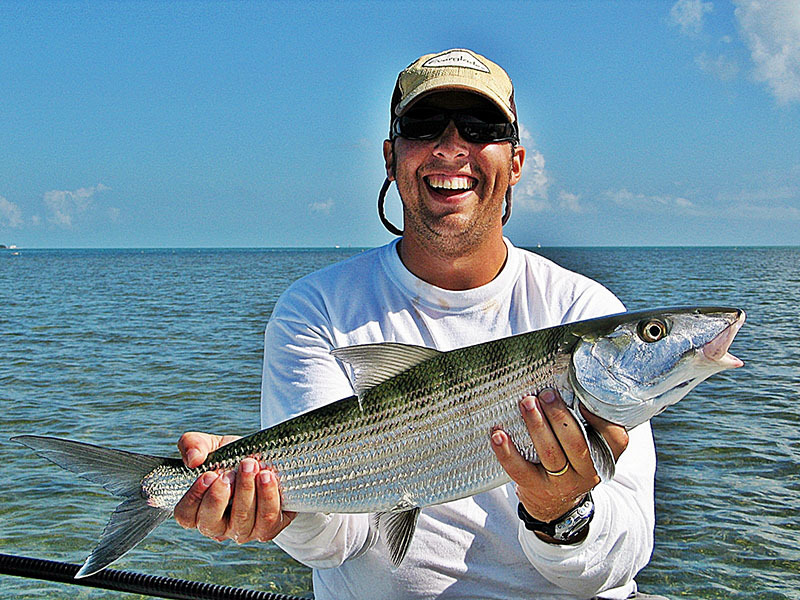 The average Islamorada bonefish is normally in the 6-9 lb. range with fish in the double digits common. Shots on world record-sized fish are always a possibility. 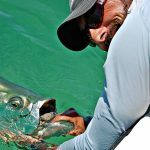 Frustration is simply a part of the bonefish game but once you’ve hooked an Islamorada bonefish that has you looking at a near empty spool, you’ll understand.